Good Counsel had a very successful outing in the South Leinster Schools Athletics in Scanlon Park, Kilkenny on Tuesday 29th of April. 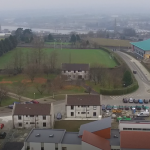 The 1st year 4×100 metres relay was the first event for the lads with Sam Sutton, Killian Griffin, Rory O’Connor, and Jack Elliot making up the team. They qualified for the final with a comfortable victory in the heat and put in an even better performance to win gold in the final and progress to the Leinster Finals. The 200 meters was the next event on the card and the school had 2 students running in the heats, both making their debut at this distance. Both put in good performances with Conor Cassidy (2nd year) coming in 4th and Liam Doocey (1st Year) coming in 5th in their respective heats. 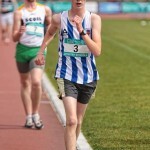 The next event saw Joe Mooney representing the school in the 3km senior walk. 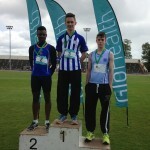 He won gold in convincing style, breaking the South Leinster Schools record by 20 seconds and progresses to the Leinster Finals. In the 500 meters Sam Sutton (1st year) was making the step up to a longer distance and was making his debut in this event. He ran very well and finished an excellent 5th place. Killian Griffin (1st year), Kevin Wallace, Mike Chapman, and Aaron Brown all ran in the 800 metres. 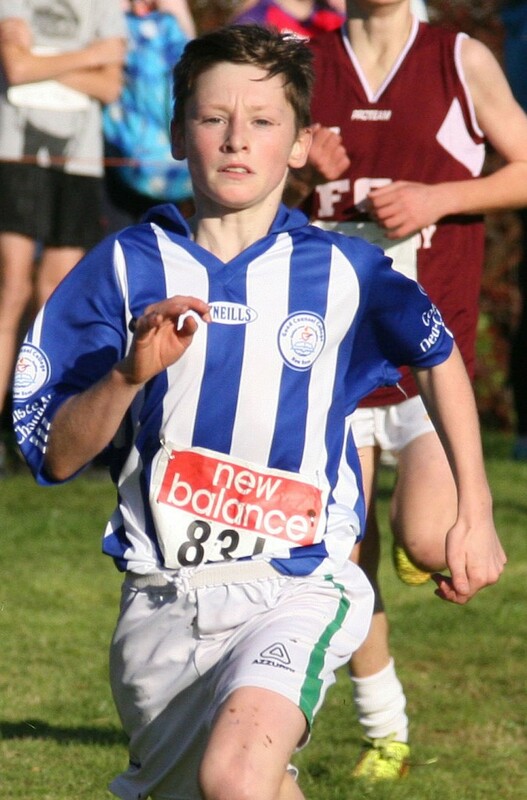 In the u-14 race Killian finished 3rd and qualified for the Leinster finals. Kevin ran a very good race in his first competitive athletics outing and finished in the top half of the race. Mike and Aaron acquitted themselves very well in the u-15 race with Aaron finishing an excellent 5th place. Jack Elliot (1st Year) and Cian Flanagan (1st Year) were both competing in the 100 metres. Cian finished 4th in his heat but ran very well. Despite losing his shoe, Jack won his heat well and progressed to the final. In the final Jack once again turned on the afterburners and romped home, taking Gold as well as progressing to the Leinster finals. Next up was the 75 metres hurdles where Rory O’Connor (1st Year) ran two very good races to take a silver medal and progress to the Leinster Finals. The final races of the day were the 1100 and 1500 metres. Running in the 1100 metres were Luke Byrne (1st Year) and Raymond Roche (1st Year). Both ran excellent races with Luke just missing out on a medal, finishing in 4th. In the 1500 metres Oisin Griffin (2nd Year) and Eoin Ryan (2nd Year) took to the line. Both ran well, with Oisin finishing 4th. It was an excellent day out for the school and well done to all the athletes who competed. Best of luck to those progressing to Leinster Finals. Our Intermediate and Senior Athletes also competed successfully on May 6th in Scanlon Park at the South Leinster Track & Field finals. Best results on the day were second place in the Senior relay final (Paul Manning, Gary Murphy, Adam Mansfield, Jack Burford), First in Intermediate High Jump (Ryan Carthy Walsh) and first in Intermediate Pole Vault (Shane Power). 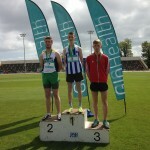 Our Minor and Junior athletes travelled to the Leinster finals in Santry on Wednesday 13th May with results of note as following…Jack Elliott 5th in Minor sprint, Killian Griffin 8th in 1500m, Rory O’ Connor 6th in 80m hurdles. Our minor relay team came sixth in the final. A huge note of thanks goes to Mrs Annette Quegan who mentored the boys on the day. 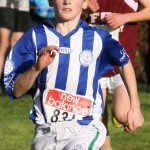 Next was the intermediate and Senior Leinster Finals in Santry last Saturday 16th May. Huge congrats go to Ryan Carthy Walsh who was only 1cm off the National record in the Intermediate High Jump and while jumping 2.03m, successfully made qualification for the European youth athletics finals. This was followed up with Joe Mooney’s remarkable success in the Senior 3000m walk, running away with it…to pardon the pun! Again thanks to all parents who accompanied their sons on the day. 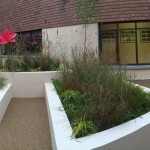 A great year so far but fingers crossed and best of luck to all boys in the National finals.